MAYHEM: Agents, Editors and Publishers...oh my ! 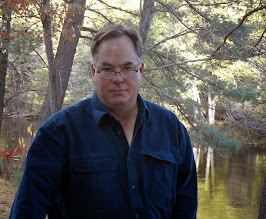 Agents, Editors and Publishers...oh my ! Lions, tigers and bears they aren't. Short entry tonight. Clam chowder, a foxhound, an a fellow framed for murder pull me onward. 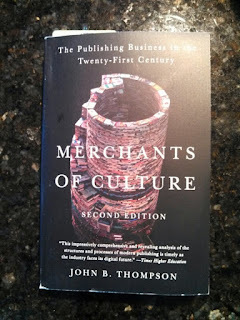 Merchants of Culture should be required reading for everyone picking up a pen. It is the business briefing on our little book industry and explains in great detail how the business works from the perspective of the folks with the money. It gives a historical review of how we arrived here and what the business cycle means for all of us in the content business. I've tried for eight years now to learn all I can about publishing and in one two hour session with this book learned nearly the total I've been able to gather on my own in all that time. It feels like drinking from a fire hose. If you are serious about your craft, you need to be serious about the business. Yes, it matters. You can make a lot of money when the other guys at the table don't know what you know. Likewise, they can make a lot off you if you're in the dark. Success is your own responsibility. Own it. Content and a Green Dragon Hangover.